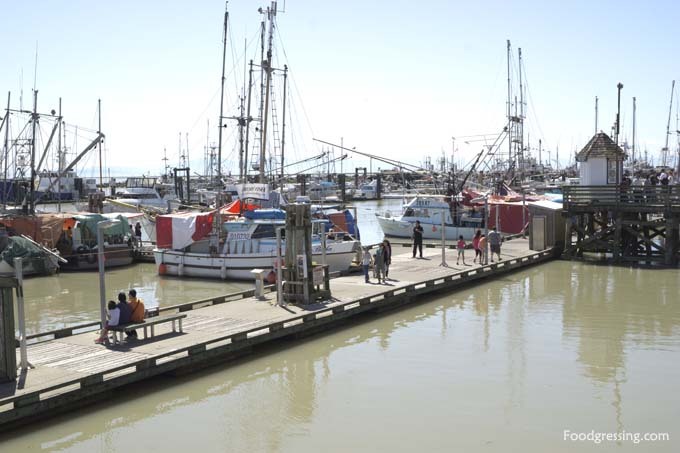 Last week, we headed down to the Steveston Village to spend a leisure afternoon. 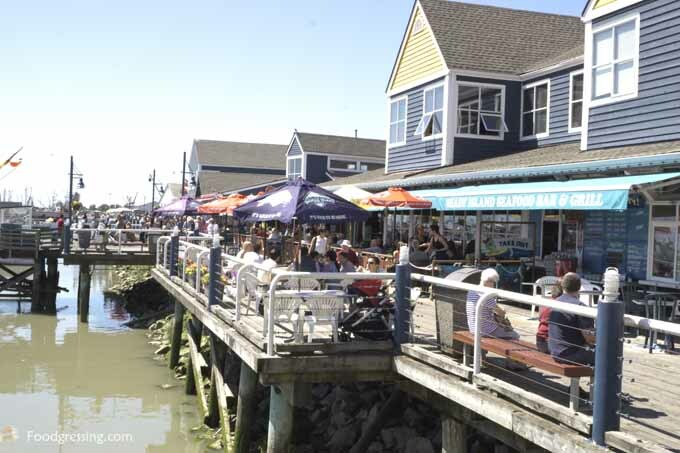 At the same time, we decided to dine at Blue Canoe Waterfront Restaurant which is located on the pier. It had been a few years since I dined at Blue Canoe so I was looking forward to an updated experience. I also had a gift card to Blue Canoe as a prize from being the random winner in an online contest, so I used it to pay for part of the meal. I made the reservation to Blue Canoe through Opentable. Just like us, our friend loves waterfronts. But instead of the UK, she lives in the US. She had always had the dream of moving to Wisconsin, so she looked into something like lakefront homes for sale in wisconsin that she hopes to purchase for the summer. That would be a dream come true for anyone to own any form of a waterfront property. 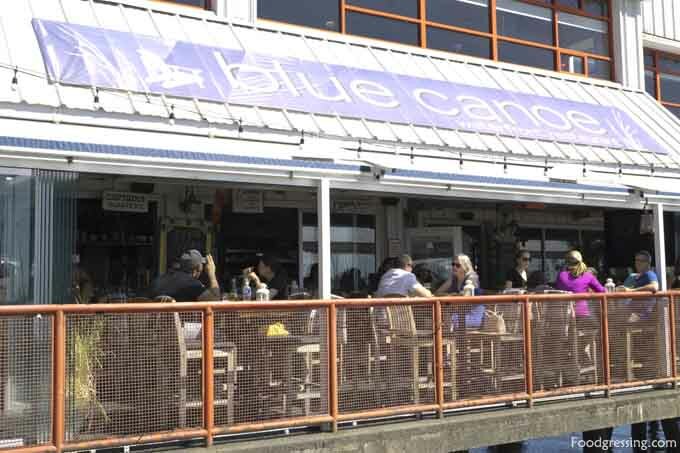 Blue Canoe Waterfront Restaurant is located on the Bayview Pier and their patio offers a beautiful view of the boardwalk and the Fisherman’s Wharf. There are many high top tables in their patio and if you are lucky you might be able to sit at one of the tables that directly overlooks the water. The vibe at Blue Canoe is casual and relaxed. The view was so amazing that I actually want to look at Waterfront Properties for Sale, I’d love to wake up to a view like that! 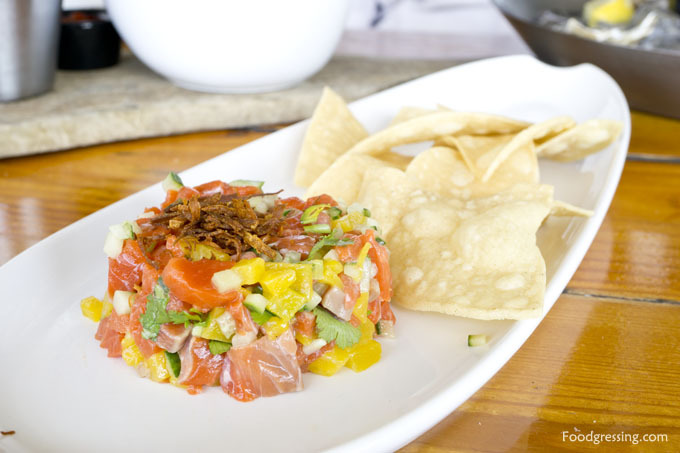 Being a waterfront restaurant, Blue Canoe’s specialty is definitely seafood. 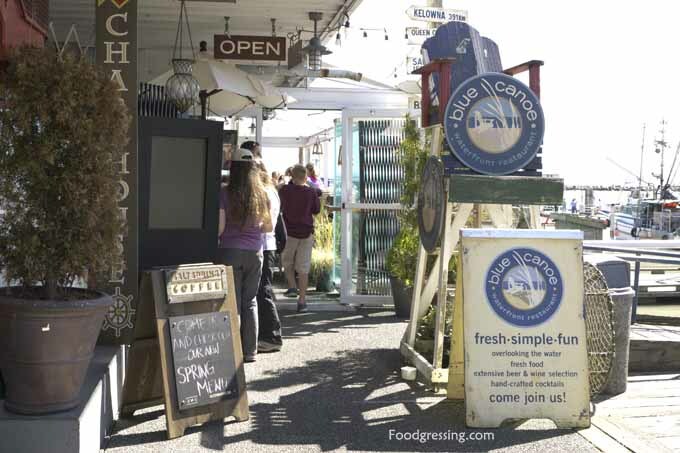 They have a lot of Oceanwise options on their menus to show their commitment towards sustainable seafood. We ordered three Oceanwise dishes: the salmon ceviche, mussels and fries, and fresh oysters. The salmon ceviche ($16.35) had avocado, cucumber, mango, cilantro, red chillies, grapefruit juice, yam shoe strings and served with tortilla chips. The ceviche was zingy, refreshing and packed with a citrus flavour. The pure taste and texture of the raw salmon was brought out in this dish. 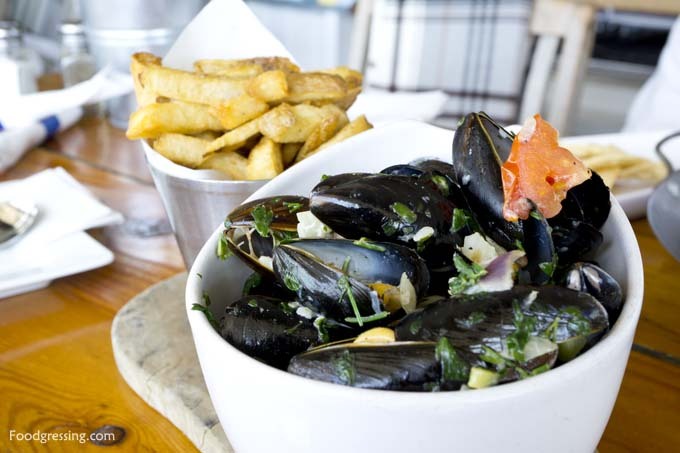 The mussels and fries ($16.85) were steamed in garlic, shallot, fennel, tomato, white wine, and cream. The broth did not stand out for me and did not have much flavour. The mussels were sweet, soft and slightly chewy. The overall dish was average in my opinion. We had six fresh oysters including the Fanny Bay and Chef Creek, both from Bayne Sound in BC. Their sizes were between extra small (2-3 inches) and small (3-4 inches). 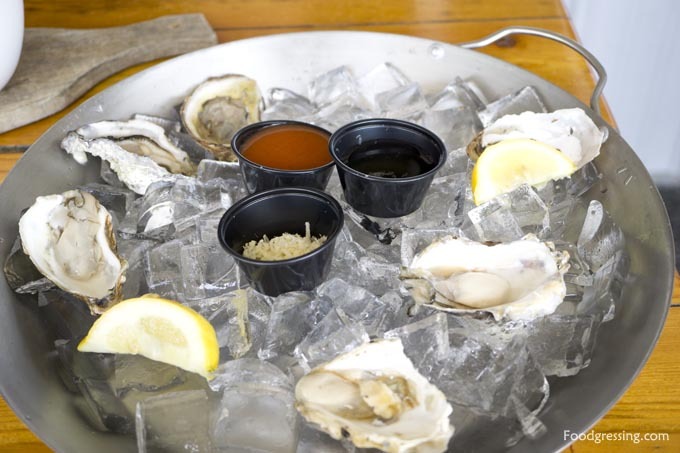 The Fanny Bay oysters had a firmer flesh, and tasted sweet and salty, slightly metallic with a cucumber-like aftertaste. The Chef Creek oysters were creamy, briny and sweet. I tried the oysters both naked and with the cocktail sauce, and they were okay either way to me. Did you know that there is a BC Oyster app? I was curious about the oysters that we tried at Blue Canoe and found this app in my search. I think this app is useful in helping you learn about the oysters before trying them! I had my dog that day, but we could not tie her near us on the patio. We were able to tie her within our line of sight near the front entrance. The staff brought out a bowl of ice water for her without us even asking. I thought that was a nice gesture. Our server was also friendly and checked in on us in a timely manner. I thought the food was average overall, and perhaps a bit pricy for the quality and portions. However, the views from Blue Canoe Waterfront are one of the reasons that make the dining experience there more special. 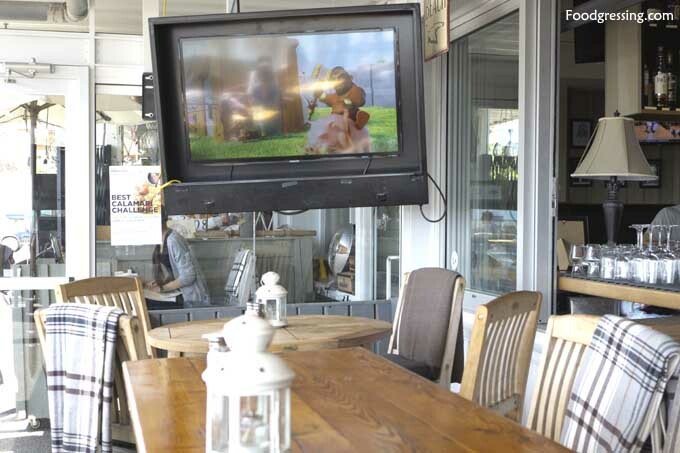 It is is a nice setting to chill out for drinks or for a casual romantic dining experience.